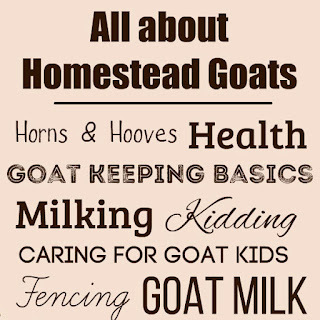 How do you define "homesteading"? Does the word conjure up the TV show "Little House on the Prairie"? Do you think that true homesteaders must live off-the-grid with solar (or no) electricity and hunt for all of their food? 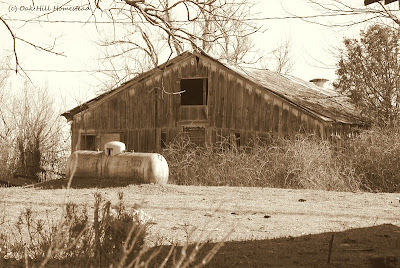 In years past, homesteading wasn't a "thing," it was just how people lived. Even as late as the Great Depression, families grew some or all of their own food, raised or hunted their meat, and bartered with others for the things they couldn't produce themselves. I loved hearing my father's story about the night the bottles of his grandma's homemade root beer exploded in the closet under the stairs of their home. And then the modern age arrived, and people began paying for convenience because they were too busy to do/make/cook it themselves. Now we've come around to realizing that the rat race might not be worth the stress and that we work so hard to make enough money to pay for everything that we don't have time to enjoy it all. 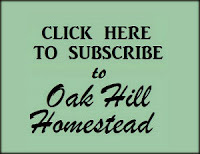 Truthfully, we can't "homestead" like the Ingalls family did. The government no longer gives out parcels of land that we can claim simply by building a house and living on it. We must buy our property, repay the bank, live by neighborhood rules and covenants that often dictate what kind of house we live in and what we can do with it. What we now call "homesteading" might better be referred to as "simple living." Simple living can be done anywhere! A family can live simply while farming forty acres, or live simply in an apartment. Whether or not we live off-grid, raise animals or not, have forty acres or live on a suburban lot, we can live simply and be modern homesteaders. 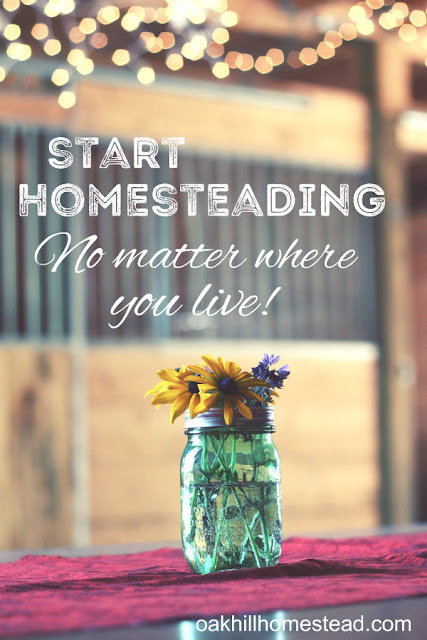 Yes, you can homestead no matter where you live and no matter what your circumstances are. The modern definition of homesteading or simple living is a state of mind, not a place on a map. It isn't dependent on how much land you do or don't have. And what is this state of mind? Doing for ourselves, raising some or all of our own food, planning and being prepared for what might happen in the future... opting out of consumerism and dependence. Right? Do you live in an apartment? You can garden on your balcony and raise some spectacular, delicious tomatoes and a big container of salad greens. No balcony? Use your windowsills. No sunny windowsills? Use grow lights. 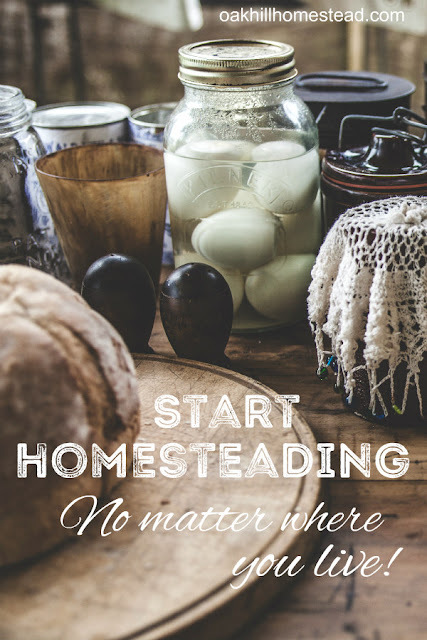 It won't make you any less a "homesteader." Maybe you have a suburban yard and the backyard's wooden fence blocks the sunlight to the only spot you can put a garden. 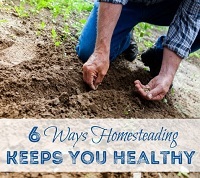 You can grow vegetables in a shady garden using a few tricks and the right varieties of plants - and it doesn't make you any less a homesteader. Your neighborhood HOA might not allow you to keep chickens or rabbits or bees, but you can find someone who does. Buy healthy eggs and meat from them. Offer to help out so that you can learn new skills. They'll appreciate you when they want to go on vacation! Hang your laundry to dry instead of using the dryer. If your HOA doesn't allow an outdoor clothesline, improvise with a drying rack like this one (affiliate link) which is similar to one we used when we lived overseas. 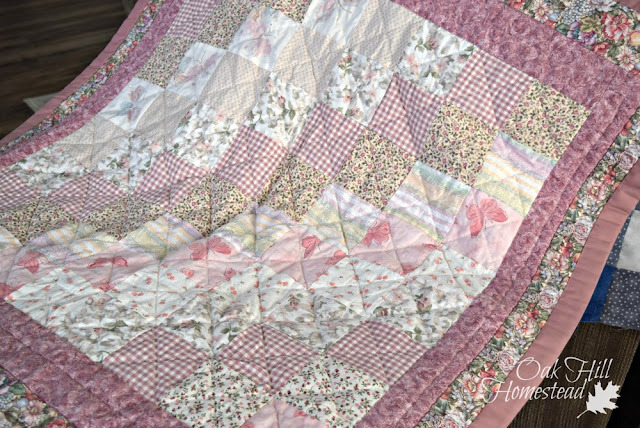 Learn some old-fashioned skills such as knitting and quilting, woodworking or knife-making. 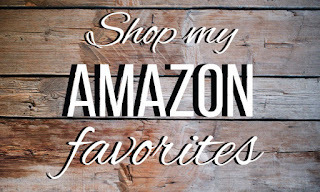 Crafts and hobbies are soothing as well as producing useful items for your family, your home and for gifts. More than any other room in your house, your kitchen and pantry are the most important ingredients in your homestead. 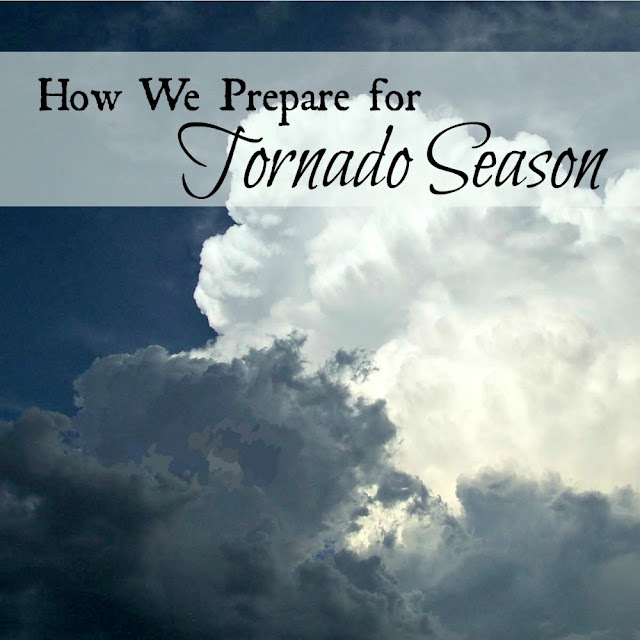 You can be prepared for power outages, winter storms and even job loss. I've always bought a few extra cans or boxes on each grocery trip, just because. When hubby was laid off for awhile, that stockpile became a true blessing. I opened the last can in that cupboard on the day that hubby started his new job! Our supplies stretched just like those loaves and fishes in the Book of Matthew. Learn how to cook from scratch (you might enjoy my embarrassing story here), how to make your own yogurt, and how to use herbs for everyday health. (For example, you can read about making salves here and how to make mullein oil to treat earaches here.) 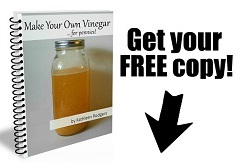 Learn how to can produce from your own garden or from farmers markets and you-pick orchards. 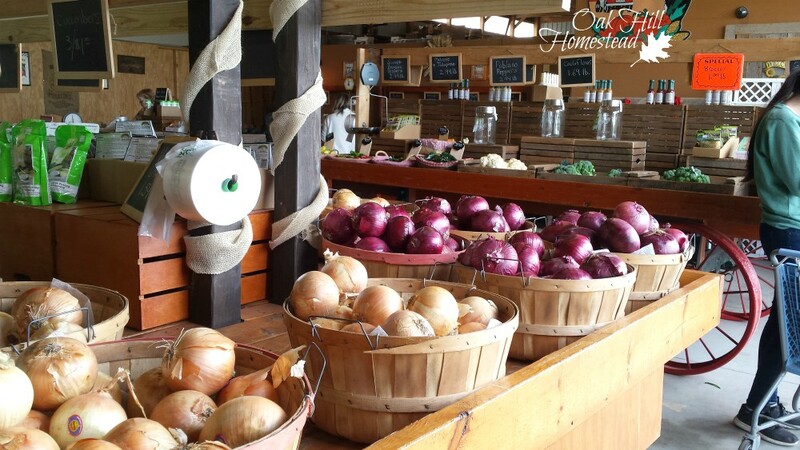 Don't be disheartened if you long to homestead in the country but are stuck in the city. You can live simply wherever you are. 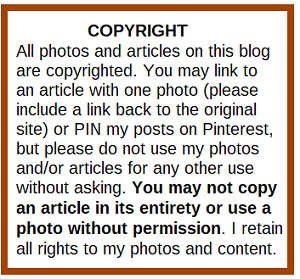 You might enjoy my Pinterest boards, where I've collected homesteading info from around the web, including my Homesteading in the City board and my new Homestead Dreaming board. You can follow me on Pinterest here. I have so enjoyed your post, I found you at Mitten State Sheep. This hop was eye opening for me. I'm also surprised how many of these ladies are Christians. I think God is trying to tell me something, seriously and has been for quite awhile.. I think the necessity of relying on his creation for preservation is around the corner. I'm seeing, hearing, and thinking more and more about this. I'm not waiting until that time is here and knowing nothing. He tell us to use Godly wisdom. Thanking you for sharing your knowledge. I'm so glad it's been a blessing to you! 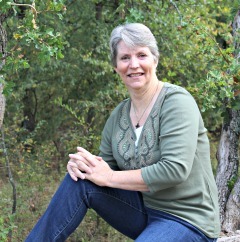 New posts are shared each week so I hope you'll join us again. Bless you for "listening" and taking heed.